Are you worried about your city and state taxes then you are on right place. Qlo provide you the function of adding any taxes to your room rates and can have the actual amount from the customers while booking the rooms. 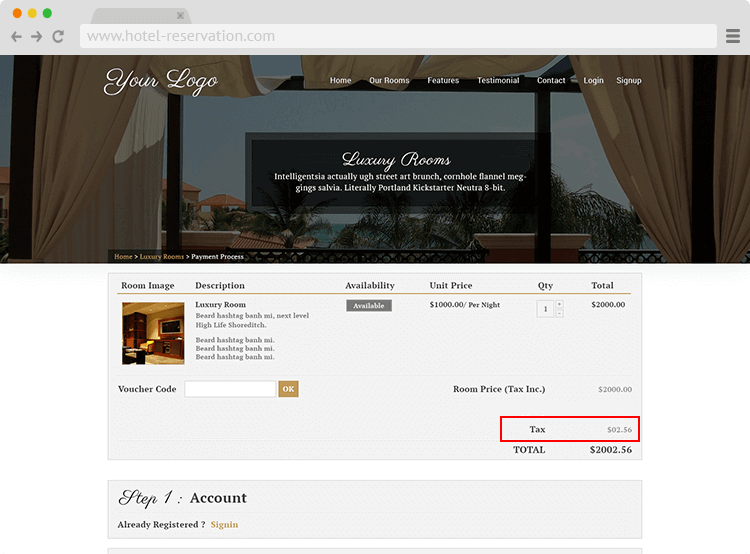 Qlo tax management admin can apply tax for each separate room and guest have to pay that tax while booking rooms online.